Paul Dumouchel is Professor of philosophy at the Graduate School of Core Ethics and Frontier Sciences, Ritsumeikan University, Kyoto, Japan. 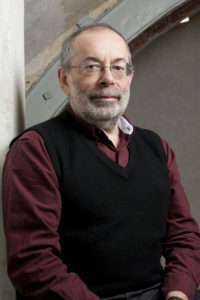 He is co-author with Jean-Pierre Dupuy of L’Enfer des choses, René Girard et la logique de l’économie (Paris: Seuil, 1979) and author of Emotions essai sur le corps et le social (Paris: Les Empêcheurs de Penser en rond, 1999). He co-edited with Jean-Pierre Dupuy L’auto-organisation de la physique au politique (Paris: Seuil, 1983), edited Violence and Truth (Stanford University Press, 1988), Nationalisme et multiculturalisme en Asie (Paris: L’Harmattan, 2010) and with Rieko Gotoh he co-edited Against Injustice: The New Economics of Amartya Sen (Cambridge University Press, 2009). His more recent books are Economia dell’invidia (Massa: Transeuropa, 2011), The Ambivalence of Scarcity and Other Essays (Michigan State University Press), and, with Reiko Gotoh, Social Bonds as Freedom (Berghahn Books). His book The Barren Sacrifice: An Essay on Political Violence (Michigan State University Press) was first published as Le sacrifice inutile essai sur la violence politique (Paris: Flammarion, 2011). His latest book is Living with Robots: Artificial Empathy and Philosophy of Mind (Harvard University Press, 2017). 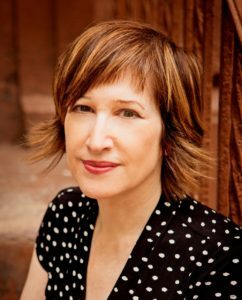 Laura Kipnis is a cultural critic and former video artist whose work focuses on sexual politics, aesthetics, emotion, acting out, bad behavior, and various other crevices of the American psyche. Her latest book, Unwanted Advances: Sexual Paranoia Comes to Campus, was prompted by becoming the subject of a Title IX investigation for writing an essay. Her six previous books, which include Men: Notes from an Ongoing Investigation, How to Become A Scandal, and Against Love: A Polemic, have been translated into fifteen languages. The essay that started the trouble, “Sexual Paranoia Strikes Academe,” was included in The Best American Essays 2016, edited by Jonathan Franzen. Kipnis is a professor in the Department of Radio/TV/Film at Northwestern University, where she teaches filmmaking. Jack Miles, Distinguished Professor Emeritus of English and Religious Studies at the University of California at Irvine and Senior Fellow for Religious Affairs with the Pacific Council on International Policy, is a writer whose work on religion, politics, and culture has appeared in The Atlantic, The New York Times, The Washington Post, The Los Angeles Times, The Boston Globe, Commonweal and many other publications. His book GOD: A Biography won a Pulitzer Prize in 1996. A MacArthur Fellow during the years 2003-2007, he is general editor of the Norton Anthology of World Religions and has recently completed a new work God in the Qur’an, forthcoming with Alfred A. Knopf late in 2018. During the coming academic year, he will be Corcoran Visiting Professor of Christian-Jewish Relations at Boston College. Rev. Kevin F. Burke, S.J., currently serves as Vice-President for University Mission and Professor of Theology at Regis University in Denver, CO. 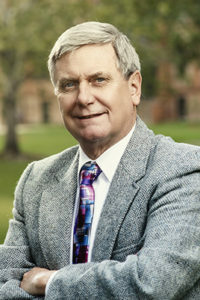 He previously served as professor of Fundamental and Systematic Theology at Weston Jesuit School of Theology, Cambridge, MA (1997-2006) and the Jesuit School of Theology in Berkeley, CA (2006-17), where he also served as Dean and Acting President (2006-12). 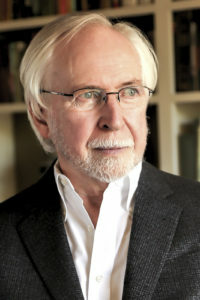 Author or editor of seven books, including The Ground beneath the Cross: The Theology of Ignacio Ellacuría (Georgetown, 2000), Pedro Arrupe: Essential Writings (Orbis, 2004), and The Ignatian Tradition (Liturgical Press, 2006), he is currently writing a book on the theological vision of the poet, Denise Levertov. Need to renew your membership? Go here.